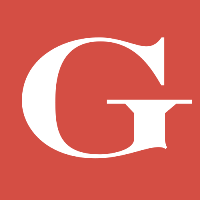 Marina Galperina has joined Gawker as a senior editor. Galperina had been the editor in chief of Hopes and Fears for the past year, and worked as the managing editor of Animal New York for almost five years prior to that. In addition, from March 2011 to January 2013, she served as the art editor of Flavorwire. Follow Gawker on Twitter and Facebook for more of today’s gossip. …and now she will be bringing that dedication to Gawker. @mfortki is our new senior editor! this is awesome.